Denmac Industries received a nice order to powder coat and screen print about 2,500 parts for OPI Nail Polish. Below Sergio is screen printing the product. 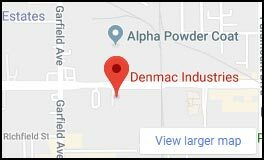 Denmac, a leader in fluid bed dipping process, receives an order to apply vinyl to a wire basket for corrosion protection. Denmac received a nice order to vinyl coat the table caddies for a popular restaurant. Denmac Industries is one of the few fluid bed vinyl and epoxy coating companies in California. 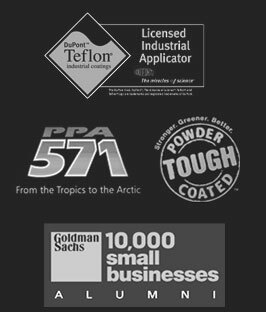 We coat products such as refrigeration racks, football face masks, park benches, “S” hooks, restaurant salt and pepper caddies, valve bodies. The list goes on.